Why a plan that could bring locals thousands of high-end jobs has barely gone anywhere. TOM MCCARTHY’S BUILDING site is still a football pitch. 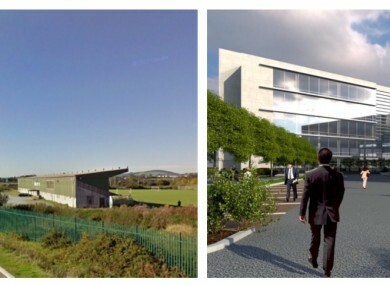 The Cork developer had planned to start work on a huge 17,000 sq m office block, potentially holding 500 workers, at the former FAI grounds in Curraheen by the end of the year. His would have been the first development at the site for the long-awaited Cork Science Park, the masterplan for which was drawn up by Cork County Council in 2011. It is thought that the first phase of development could provide 1,000 jobs for the area and a €35 million-a-year boost to the local economy. The masterplan also estimates that, in an ideal situation, the park could cater for more than 11,000 students and employees over a period of about 25 years. The aim of the facility, which would be the first of its kind in the Republic, was to link University College Cork (UCC) and the Cork Institute of Technology (CIT) with private science and tech businesses, position Cork as a tech hub and attract a slew of large multi-national companies. However, so far not a single brick has been laid. McCarthy’s building was refused planning permission by An Bord Pleanála, even though the County Council supported the application. The decision left McCarthy bemused. “If the people who wrote the masterplan were happy that I was in compliance with it, how do An Bord Pleanála decide I’m not?,” he tells Fora. The refusal of McCarthy’s application means that work still hasn’t started at the park five years after the initial masterplan was drawn up. The question is: what on Earth happened? The idea of a science park in Cork has been kicking about since the turn of the century, likely inspired by a similar initiative across the border. The Northern Ireland Science Park was first mooted during the Good Friday agreement in 1998, and the park was officially established in March 1999. Although it had a relatively slow start, 10 years later the 24-acre Belfast site was home to 40 different organisations, ranging from tiny startups to larger multinationals. Today, the park and its satellite in Derry house about 150 companies between them, including internationally recognised names such as Microsoft, Citigroup and Hewlett Packard. Despite the Cork idea first being floated over a decade ago, no concrete proposals saw the light of day until 2009. A site of 150 acres, about the same area as 100 football pitches, was then identified near UCC. The university was a key stakeholder and driver of the project along with the nearby CIT. At the time UCC president Dr Michael Murphy said that a plan had been in the works “for eight years”. However, it took two more years for a full masterplan to be drawn up that laid out the proposed development of the park in detail. Over 60 hectares (about 150 acres) of the 100-hectare site were identified as being suitable for development. The proposed park was then divided into six different sections called ‘precincts’, each of which had a major landowner, such as UCC, that was meant to drive development at that area. The park was split into precincts because some of the areas had fewer vital pieces of infrastructure, such as sewage pipes, than others. The thinking behind the approach, according to the masterplan, was that it would allow each area to develop separately and side-step unnecessary project delays. It was also hoped that private developers would be coaxed in to help split the cost of the project. One of the most important pieces of infrastructure identified was a 2km ‘access road’ that would run from the park entrance to CIT, linking up the different precincts of the huge facility and making the area more attractive both for private companies and developers. In 2012 the county council appointed engineering management firm Mott McDonald as consultants on the project to deliver an ‘infrastructure package’ for the park. The access road was the most important part of this package and made up the bulk of the total cost, estimated at €16 million. A council press release heralding the announcement said work on the road was scheduled for mid-2014. It was hoped that the funding for this would mostly come from central government. However, although the Department of Transport provided grant support to the county council for the preliminary design stage of the project, in 2014 it decided that due to funding cutbacks it would not be able to provide any “specific and strategic grant schemes” for new projects. With central government funding for the road a non-starter, the project stalled. Large areas of the science park became unattractive for development as they would be unreachable without the access road. Two precincts remained viable options for development as they do not need the road for access. One of these is owned by UCC while the other is controlled by McCarthy, the local developer. In August 2014 McCarthy applied to Cork County Council for permission to demolish the former FAI grounds at Curraheen, home to Cork City FC in the 1990s, and build an office block of four to five storeys that could house more than 500 employees. Initially his application, made through a company called Soltaz, was refused, but once McCarthy amended it the council gave the development its backing. However, the case had already been appealed to An Bord Pleanala, who ruled against the office block, even though the council gave it the thumbs up. And why? Effectively, the two reasons for the refusal were that the proposed building was too big and did not fit in with the overall vision of the science park. McCarthy’s precinct was zoned for over 10,000 sq m of floor space in phase one, however his proposed building was about 17,000 sq m. He argued that the floor area from one precinct in the park could be transferred to his under a clause in the masterplan, allowing him to construct the larger building. Although the council was initially against the idea, it said a revised plan “gave more certainty” for the development. However An Bord Pleanála disagreed, saying the proposal could set an undesirable precedent. One of other factors for the refusal discussed particularly annoys McCarthy. Essentially, the planning board was worried that the building would not be related to science theme of the park and would be the same as an office block in any common business park, even though the council had supported the application. McCarthy says this is indicative of a larger problem with the masterplan, claiming it doesn’t lay out what is needed to fit in with the park’s ‘theme’ clearly enough. “What An Bord Pleanála has said, in our mind, is that the uses clause for the park is not very clear,” he says. Although the masterplan for the Cork park lays out a variety of uses for buildings on the site, such as ‘research activities that are technologically-innovative or involve experimentation’, most are not as specific as those laid out by the Northern Ireland park. Cork County Council has said McCarthy is free to make another application, however he says he is reluctant to do this because of the slow nature of the process – his first application took 12 months – and his previous refusal, which he claims could be replicated if the masterplan is not changed. In the time since McCarthy’s building was refused, what looks set to be the first building at the park finally got the go-ahead. As reported by Fora earlier this week, UCC has received permission to build an ‘incubation hub’ on-site that could provide 200 jobs. Assistant city manager Declan Daly denies that there is a problem with the masterplan, saying UCC’s success vindicates that. “UCC did not have any fundamentally different approach from what Tom (McCarthy) proposed. The UCC approval confirmed that the uses should not be a problem,” he says. Asked why the planning board refused the application despite the council later supporting it, he says: “It’s just the nature of the appeals system, sometimes they go with us and sometimes against us. Although it looks like development may finally start moving at the UCC precinct, it is less clear how development will proceed at the rest of the park. It is unclear where funding for the access road, which is still needed to link up most of the complex, will come from, for example. A spokeswoman for the Department tells Fora its main focus over the next few years will be “road maintenance and renewal rather than new projects”. The department isn’t in a position to provide any grants for the construction stage of the science park, she adds. For his part, Daly is hopeful the UCC building will be the spark that finally ignites development at the science park, attracting private developers and the funding needed to build the access road needed to make the majority of the park viable. “We are confident that once the first building goes up people will see the potential of this,” he says. Written by Paul O’Donoghue and originally published on Fora, a new business publication for Irish startups and SMEs. Email “Still a football pitch after five years: The sorry history of the Cork science park”. Feedback on “Still a football pitch after five years: The sorry history of the Cork science park”.